My name is Kirti and I am both a professional photographer and a story teller. During my travels here in California, I have had to evacuate two wildfires. I was also unable to work for two years following a car accident. I was fortunate enough to have had the family support that helped me get back on my feet. 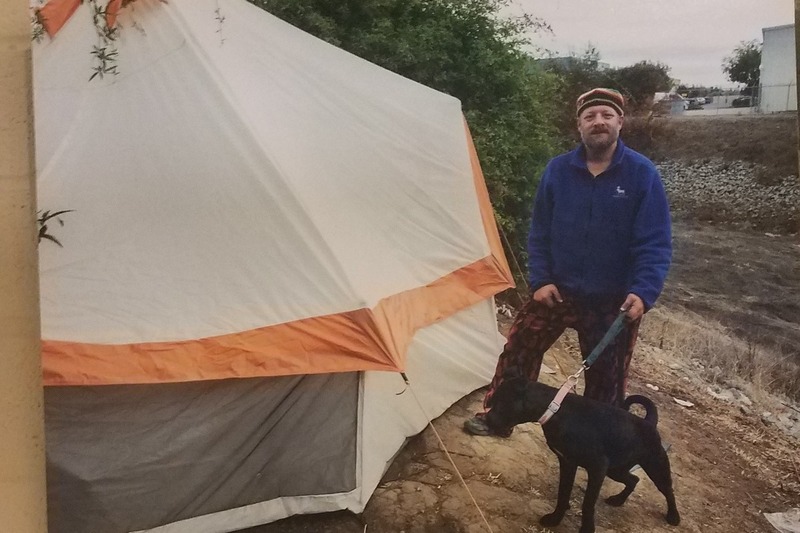 Through these experiences and others I made friends with many people who are currently homeless or on the edge of homelessness for many reasons. 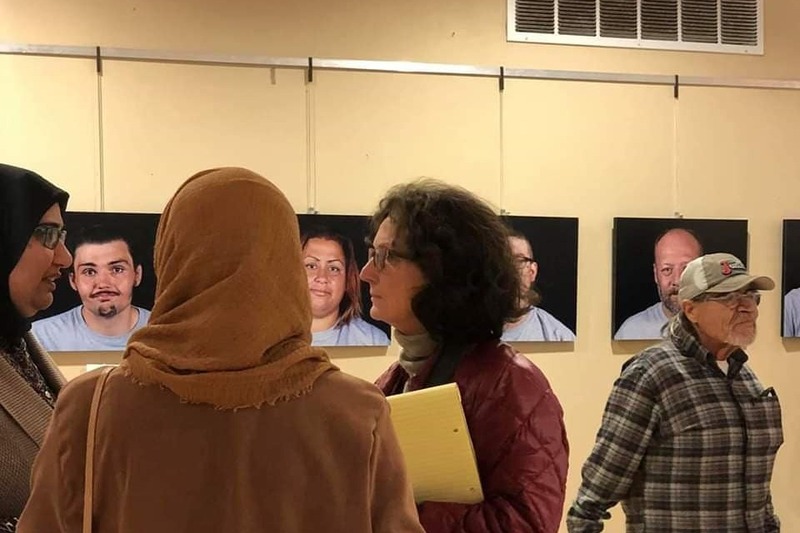 Hearing their stories, you soon realize that these are mostly normal people dealing with extraordinary circumstances, who just want to be heard and treated with some respect as fellow human beings. As we carry out our day to day lives we are oblivious to the struggles of those individuals we encounter. The grocery store cashier, the fast food clerk, the student in the library: anyone of them could be homeless. Anyone of us could be facing homelessness in the near future. The reality of the world we live in is that any one of us is just one day, one moment, one tragedy away from homelessness. Recent wildfires in Paradise are a strong reminder of how quickly this can happen. My vision is to create a community space in which we can tell the stories of our homeless friends - without judgement or preconception. I am currently focused on telling the stories of the homeless community in Gilroy and Morgan Hill in California. Despite many challenges, including being regularly "swept" out by city authorities, they survive and persevere with hope to stabilize their lives - gathering around the local churches, charities and the Compassion Center, a nonprofit which supports their daytime needs. Many of them work during the day, but are unable to access drinking water, regular showers or restrooms. 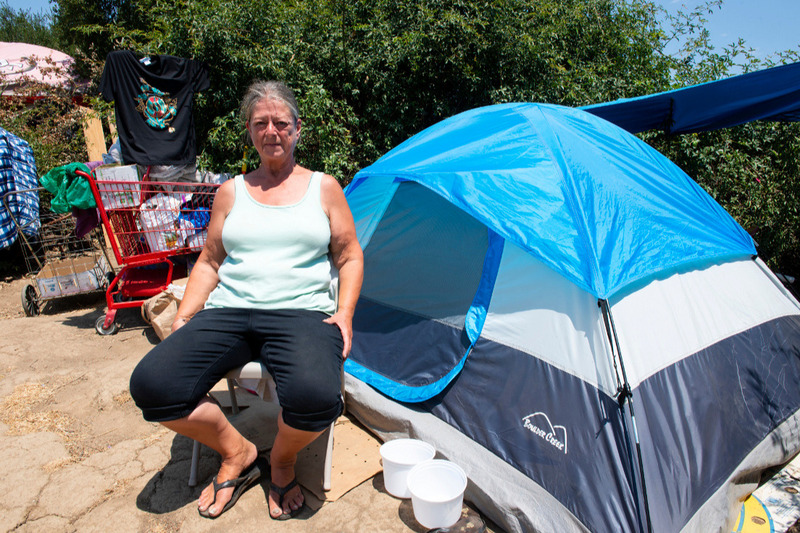 By night, they have to sleep rough in cars, tents and sleeping bags by the creek or in the Walmart parking lot. It's particularly dangerous for single women. 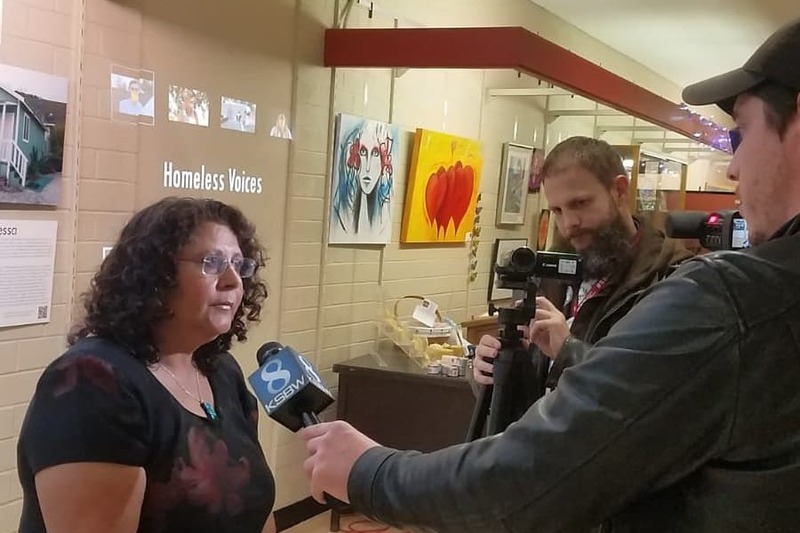 By making the plight of the homeless population visible, I hope to raise awareness and help bring in more resources to improve the safety net available to our homeless friends and help them get back on their feet. 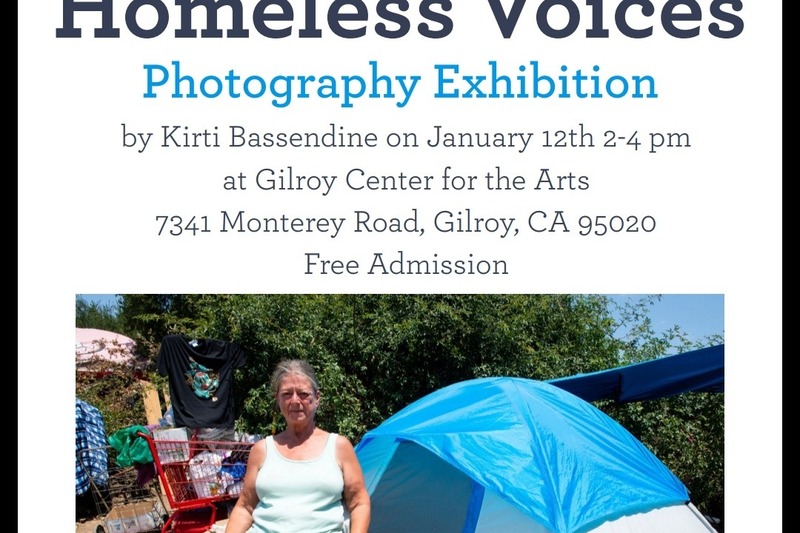 My first goal is to create a photographic exhibit called "Homeless Voices", to be shown at the Gilroy Arts Centre on January 5th-27th 2019 which we need $5,000 to complete. In the future, I hope to bring the same concept to other local cities struggling with the affordable housing crisis that now extends even to working professionals - and this is what any additional funds beyond the first $5k will support. I intend to tell individual stories that encapsulate the struggles of the homeless community in each city around the Bay Area, such as Santa Cruz, San Jose, Monterey, Berkeley, Oakland and San Francisco - hosting an exhibition in each one that creates compassion and awareness of the issues amongst the general public. I have already made connections with a good number of our homeless neighbors, starting on-site photography and interviews in my spare time, but I am unable to complete the project without taking on personal debt myself - we are in need of funds to cover my time to complete the on-site photography, portraits, post-production, printing and logistics for the exhibit in January. 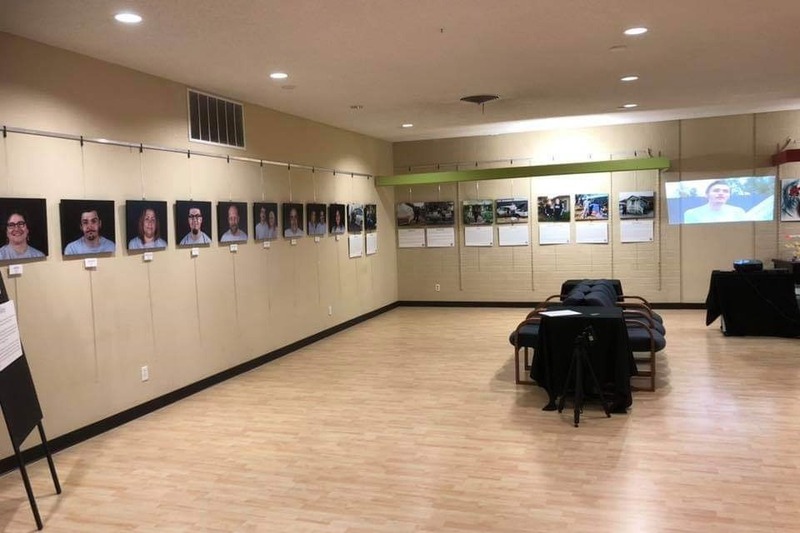 The Compassion Center itself has a very tight budget which is entirely dedicated to the direct needs of the homeless community, so they are not able to support this project financially, although they are working hard to offer many other types of support. Any contribution you can offer to help make this vision a reality, will help build awareness and support for our homeless friends - so they are not voiceless and they are heard with respect and compassion. As such we will acknowledge all donors in the exhibit. If you are able to pledge $500 or more we would be very happy to be feature your name and logo prominently at the beginning of the exhibition. To see more of the photography we have gathered so far, see https://kirtibassendine.com/gallery/homeless-voices. To find out more about my background, visit https://kirtibassendine.com/about/kirti. To connect with me and follow the project, friend me at https://www.facebook.com/kirti.fataniabassendine. My apologises for not posting earlier, the opening reception went really well, huge turnout 5 different media to cover the event. The exhibition was recieved positively both by the public and media. I should like to thank each and everyone of you that have donated. 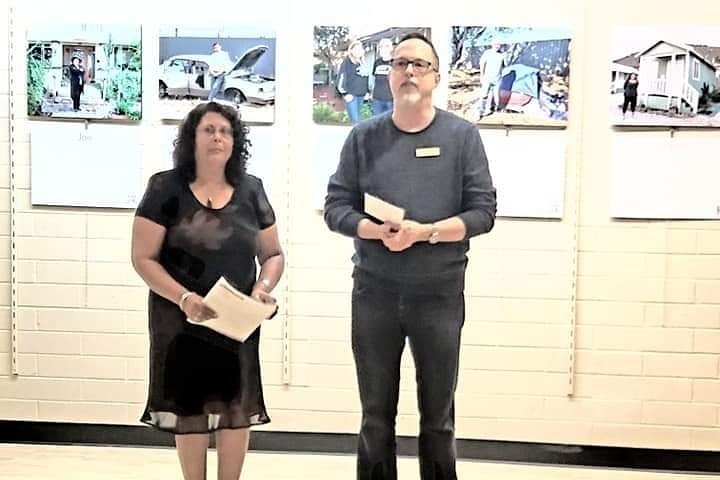 Without your help the Exhibition or todays opening reception would have not happened. Your funds have helped immensely to luanch this project. We're have some media attention. We go on the news today! Wish us the best for today. It's finally here! Opening Reception tom 2-4.00pm. Busy day with media interviews and for tom. We are going live on TV tom! Fingers crossed everything goes smoothly tom. Each and every one of you is invited to the opening reception. 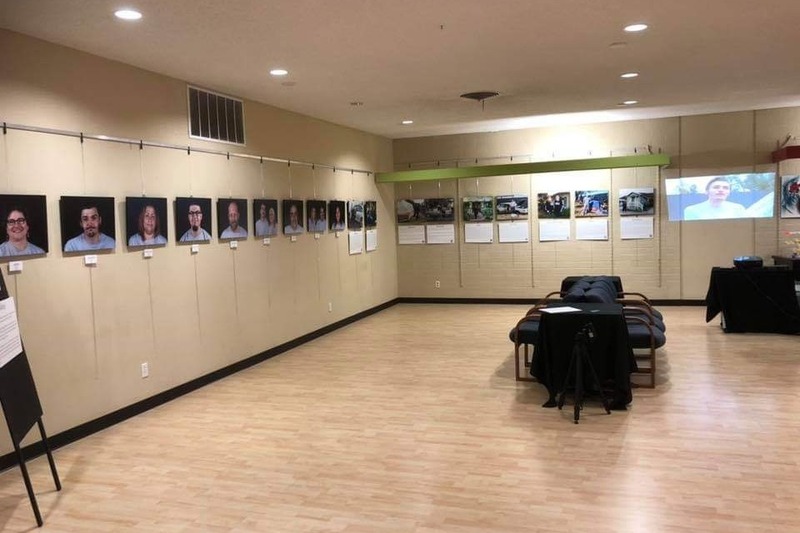 It's exciting to announce the exhibition is finally up and open to the public at Gilroy Center for the Arts in Gilroy from now until 26th January. It's free admission and open Tuesday through Friday in the afternoon from 2-6pm, Saturday all day from 11am-6pm and Sunday afternoon from 2-5pm. 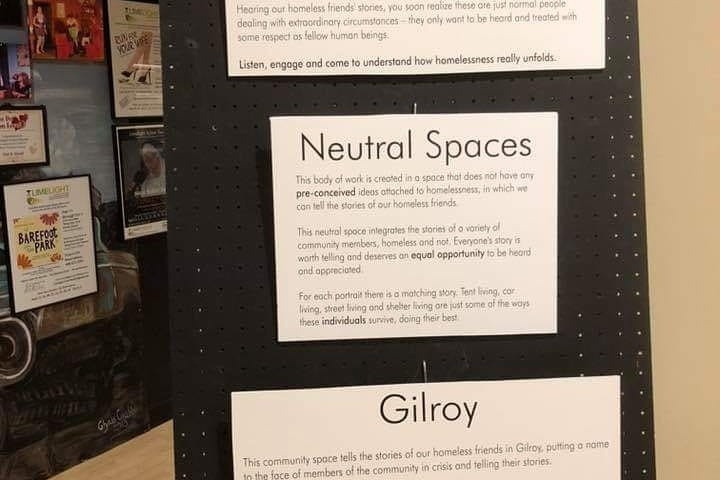 We're really pleased with how it's turned out, representing the stories of our homeless neighbors with compassion and dignity. 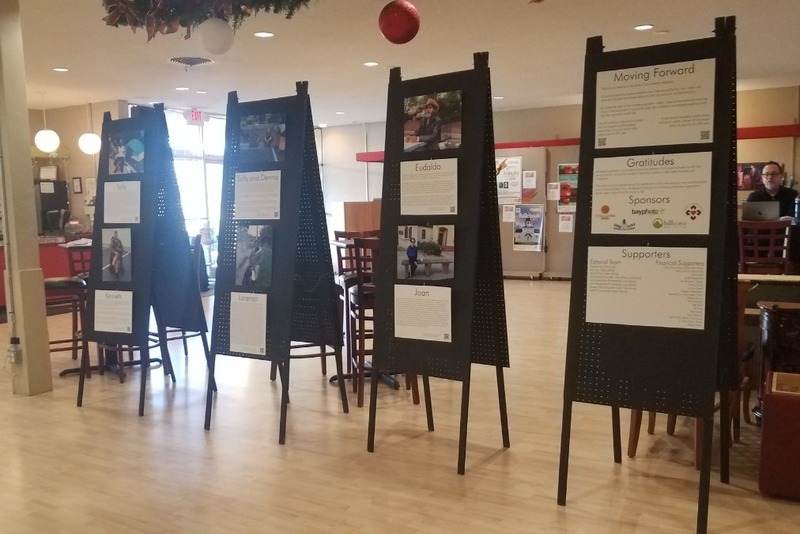 The combination of still photography, video and story boards provide a multi-faceted view into their lives and the issues. Many thanks to you all for your donations, and to our main sponsors First Street Coffee, Gilroy; Bay Photo Lab, Santa Cruz; Hill View Design Print Media, Morgan Hill; Good News Wood Salvation, Morgan Hill; Gilroy Center for the Arts and the Compassion Center, Gilroy. Without your support this exhibition would not have been possible, so many thanks! Shout outs to Curtis Walker at Hill View Design Print Media for designing and printing our story boards - they look awesome; Natasha Burr for transcribing video interviews; Daniel Potter and Rishi Burr for video editing; Mary and John Bassendine for copy editing; David Bassendine for web development, copy editing, fundraising and logistics and Janessa Villareal for fundraising. Your help was invaluable, many thanks for all your efforts!